Fishing has been right on par with this time of year, it has been good to great depending on what the tides have been doing. The incoming tides have been when the fish want to feed and usually sticking closer to the passes will produce better in Estero Bay and Fort Myers. Venturing too far in to the back country this time of year can have a negative effect on your results. The water back there is alot more hot and therefore less oxygenated making it not as comfortable for fish. On the other hand the passes on incoming tides bring cooler cleaner more oxygenated water in to the bays and that is where the fish tend to be the most hungry. Bait can be found offshore and around the bridges, we are mainly getting threadfins but they have been producing pretty well for my anglers. Rig them on a 2/0 Owner circle hook with a short 30lb leader a foot to a foot and a half. 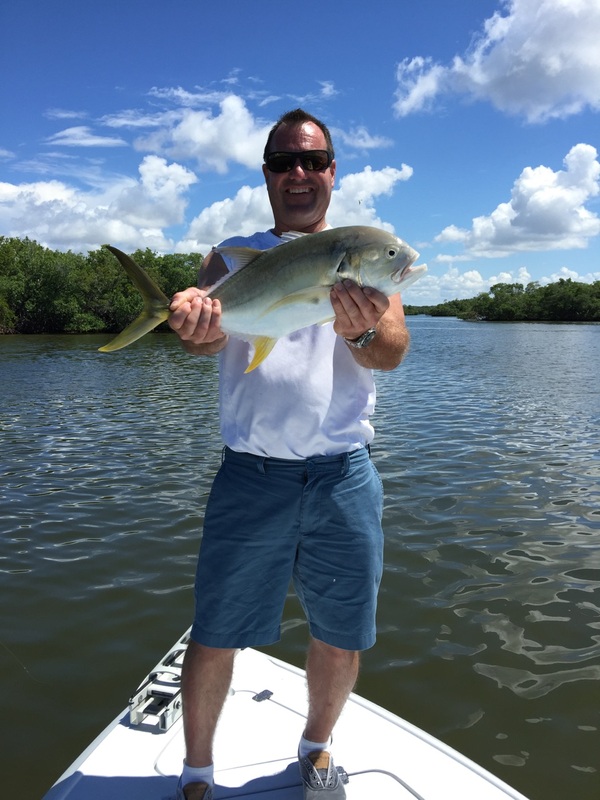 Tarpon fishing has slowed down for the most part and the focus has been mainly on Snook, Redfish and of course the ever present Jack Crevalle. Have plenty of water in your Yeti because mid day temps have been reaching the mid 90’s! Typically the mornings and late afternoons (as long as it isn’t raining) are the best times to fish. As summer goes on the weather will get warmer and warmer but the fishing should remain strong.